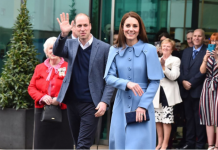 Ever since the Duchess of Cambridge and Prince William announced they were expecting their third child earlier this month, the mother-of-two has been on bed rest while she battles severe morning sickness. But royal fans will be delighted to hear that Kate is expected to be well enough to make her first public appearance since her pregnancy news next month. It’s just been announced that Kate will attend a reception on World Mental Health Day with William and Prince Harry at Buckingham Palace on 10 October. 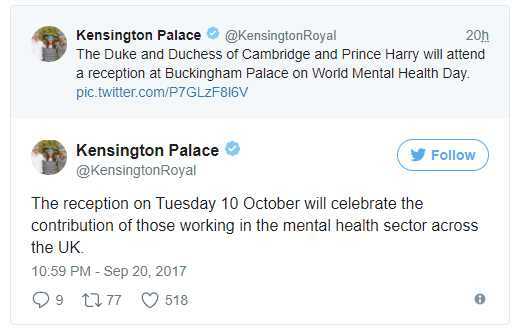 According to Kensington Palace, the event will recognise those working in the public health sectors, as well as giving them an platform to talk about their work, and what more needs to be done to make mental health care a reality for people worldwide. 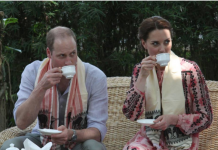 Kate, William and Harry will also be joined by guests from leading mental health organisations. 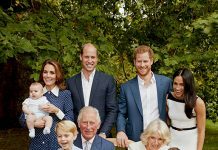 The royal trio are dedicated to bringing awareness to mental health and their campaign Heads Together, which aims to end the stigma surrounding mental health issues. ‘Hello, mental health is how we feel and think. Things that can’t really be seen but that affect us every day, and talking about them can feel difficult. ‘It helps us all to talk about our mental health: what to say and who to talk to when we have feelings that are too big to manage on our own and how to listen and help if one of our friends is finding things difficult. News of Kate’s first public appearance also comes days after her husband hinted we’d be expecting baby number three sooner than we previously thought. Kensington Palace confirmed the news Kate and William were expecting their third child earlier this month, adding that ‘the Queen and members of both families are delighted with the news’. The big question on our minds is what will she wear for her first public appearance since announcing she was pregnant.